Mortgages seem simple enough, especially after the mortgage crisis winnowed the field of lenders, changed the standards for borrowers and gave everyone in the business a cold, hard reality check. 1. That bank that lent you the money will probably back out of the agreement soon after your mortgage is processed. Sure, you might still make your payments to Chase Bank or one of the other giants for a few months’ time, but in many cases your mortgage will be sold to an association of mortgage investors, such as Fannie Mae or Freddie Mac. In fact, your mortgage could be sold several times over the course of your agreement. That shouldn’t cause you any problems, but it could make re-financing a challenge as you have to start at zero every time you begin to interact with a new mortgage servicer. Fortunately, and many would say ‘unfortunately’, the federal government has enacted all sorts of safeguards, most notably the Dodd Frank Law to save you from getting into trouble. If you ask many in Washington they would claim the entire industry was cleaned up. The jury is still out on that! So, don’t go getting too sentimental about your mortgage. You might not have a very long relationship with your mortgage servicer if the mortgage contract is sold several times during its duration. 2. Nearly half of your monthly mortgage payment could be going to interest over the next 30 years. First of all, most people don’t realize that even though they have an amortized loan (meaning equal payments over the next 30 years), that a huge chunk of those payments early in the agreement will NOT go towards their principal. Early in the loan, most of your payments will go towards interest charges. Later in the life of the mortgage contract, more of your payments will be applied to your principal as the interest charge decreases when more principal is repaid. By the time you reach the end of your mortgage agreement, most of your payment will go toward principal. This fact should give pause to anyone who anticipates making a huge dent in his/her home’s principal and then being able to perhaps borrow off of that principal early in the agreement. That’s not going to happen! And, by the time you are done paying off a $200,000 mortgage at 3.5% interest (if you are fortunate enough to qualify for that low rate), at the end of a standard 30-year loan, you will have paid a whopping $322,728.84 for your home, not $200,000. That means that a full $122,728.84 went towards interest over those 30 years, and that’s with a rock-bottom interest rate! So you see, this is how the association of mortgage investors make their profits. 3. Your mortgage payment is only about 2/3 of your total home-owning cost. If you have been paying a certain amount in rent, for instance, and find a mortgage agreement where your payment will approximate what you pay in rent, don’t forget to factor in the additional costs of home ownership. What are those? Property taxes. These could be enormous, depending on where you live. Home repairs. You can’t pass these costs onto the landlord anymore. If you need a new dishwasher or shingles on the roof, you and you alone are going to have to pay for them. All told, these extra costs will add up to about $400/month on a $1,000/month mortgage payment, and no, the tax breaks that you will get for owning a home will not offset these costs. Just be sure to factor in about 40% more than your monthly mortgage payment when you make your budget and embark on your dream of owning a home. You will probably be making payments to the fourth mortgage servicer. That makes a grand total of $450,000 spent for a $200,000 home. If you are ready for that challenge, then by all means pursue the American Dream and put your 10% payment down on a new home. Good post and breakdown. It’s always sickening to see how much goes towards the interest those first few years…which why it’s great to be able to put money down. If you paid 1K dollars rent for 30 years. You would have spent 360,000 ! Of course with no equity, and you get to keep paying rent. Homeownership is not for everyone though. The majority of my payments going straight to interest was a serious eye-opener for me. Yes it really makes you wonder if your primary residence is an investment or a liability. I think if I costs you (meaning it does not cash flow) it is a liability? Wrote a post on this a few months back, your thoughts? Great tips here. I especially want to highlight the line “your mortgage is only about 2/3 of your home ownership cost.” I think too many people decide “I can handle that mortgage (barely), so let’s buy!” Oops. Very True Joe. I think everyone should go into their mortgage attempting to handle a 15 year loan. This is me talking from experience, as I have a 30 year loan and wish I saved enough up front for a 15 year. You got that right Average Joe. Kinda like a car, people wanna know the cost of their monthly payment, often times over-looking the cost of the car? 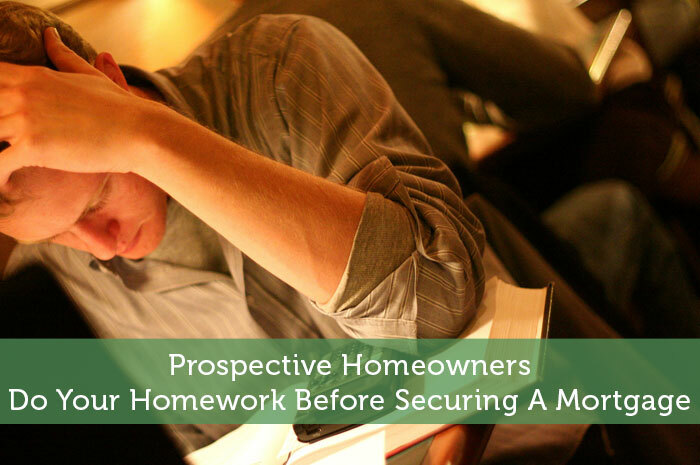 You don’t really think about this when going through the process, but after you are a homeowner, you realize that it might not be what you thought. Homeownership is expensive. Sure is Grayson, check out my post on is your home an investment or a liability. The interest thing is killer. Last weekend at our friends’ we were talking about mortgages and they have a 35 year amortization, THIRTY FIVE! They have practically zero equity! Putting an additional $200/month would take off something like ten years of payments for them, plus save a poop ton in interest. I wish I was in on that conversation more, instead of on the other side of the room. I would have piped up that they could have huge savings by adding to their payments a bit. 35 years, didn’t even know that was available, guess they never plan on paying off your mortgage! We realized this after crunching the numbers on a condo we initially put an offer on. I think we felt hurried to make an offer because a swarm of 1000 medical residents will be flooding into our town in a couple months and will be condo hunting as well. Thankfully we got outbid and it made us realize we need to do our homework before making such a huge financial decision! For sure, thanks for your reply Jessica! This is exactly why I don’t like to refinance unless I’m cutting the length of the term. One thing I’m looking into as long as the rates are good is to refi to a 15 year loan from a 30 year loan after about 5 to 7 years in on my new mortgage. This way I can skip about 7 to 10 years of payments. Strongly agree Chris, that is as long as you can service the debt due to higher monthly payments. If more people understood how mortgage amortization schedules worked, there would be far less refinancing going on, and people would stay in their houses longer before selling and buying another home. If fifty percent of the loan is interest, the ratio is far higher during the first years. The effective interest rate on mortgages flipped and refinance is staggering. Well said Kevin, thanks for your response! It’s funny because I just seen a post on another blog that says that mortgage are OK, there’s no high debt in Canada, that 164% debt means nothing and so on… a trend I seen not only on this post. Thanks to elevate the reality level of the blogosphere. The correction began to hit anyway, thanks for this infrmative post. Nearly half of your monthly mortgage payment could be going to interest over the next 30 years. it is 100% true. thanks for this post. My Pleasure, thanks for tuning in! Home ownership, the true meaning of this, is lost on so many. Jumping into a mortgage blindly is scarily common. Thanks for pointing out that the mortgage is only 2/3 of the cost because it is that last 1/3 that will make or break most. Remember to allocate part of your earnings to deal with the house… it’s yours and must be taken care of!